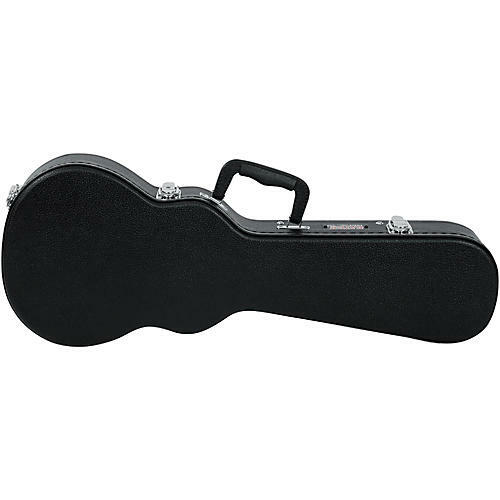 This hard case will protect your instrument from incidental bumps and bruises, but also from an out-and-out fall. It is critical for touring players who use uke occasionally to have a secure transport system. This is it. And for any player who is traveling, it's a good idea to give it some extra protection. Lower Bout Width: 8.5 in. Middle Bout Width: 5.80 in. Upper Bout Width: 6.30 in. Interior Lengh (Aux): 4.5 in. Interior Width (Aux): 3.5 in. Interior Depth (Aux): 3 in.